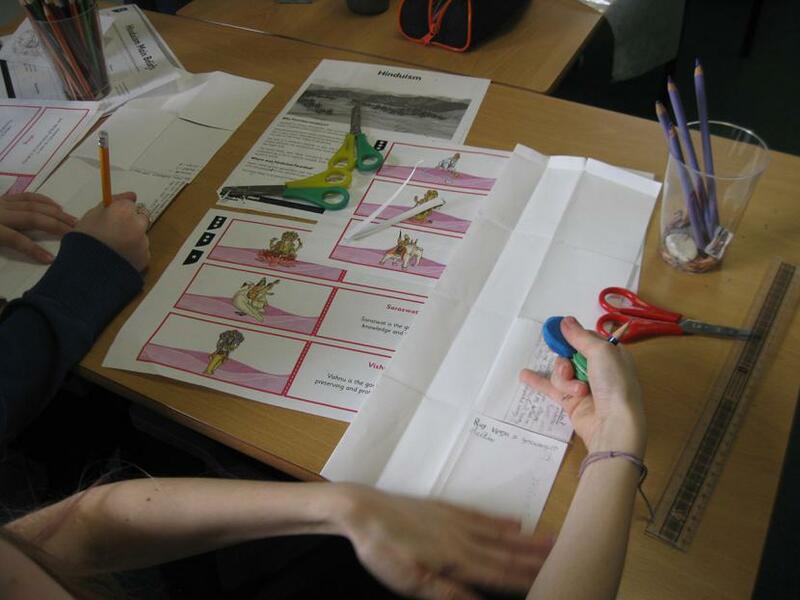 Spring term's focus was Hinduism. 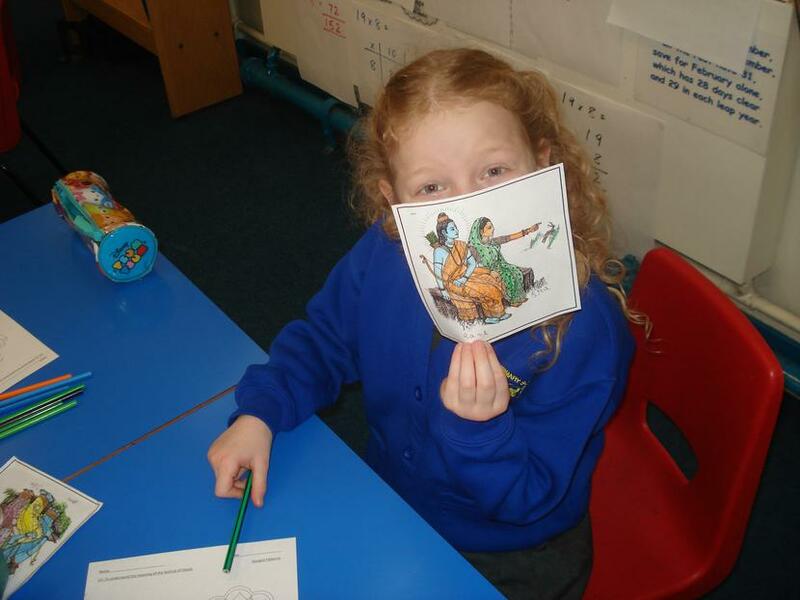 The children loved learning about this religion. 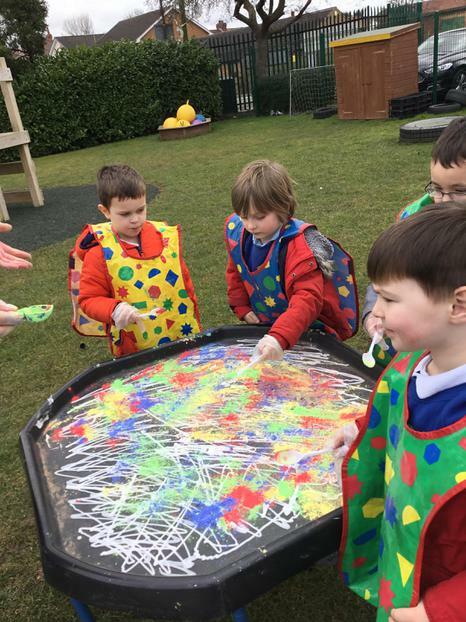 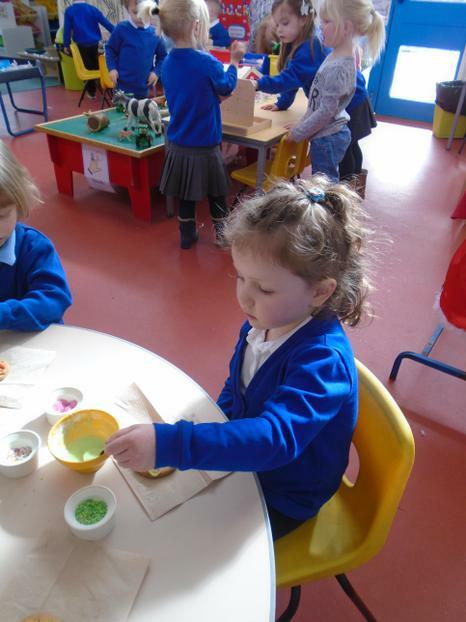 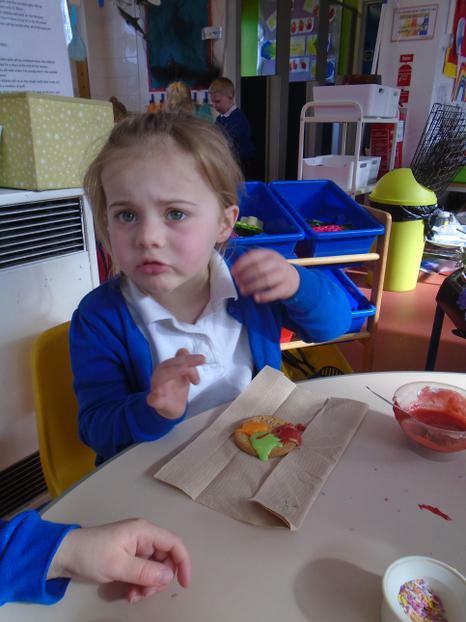 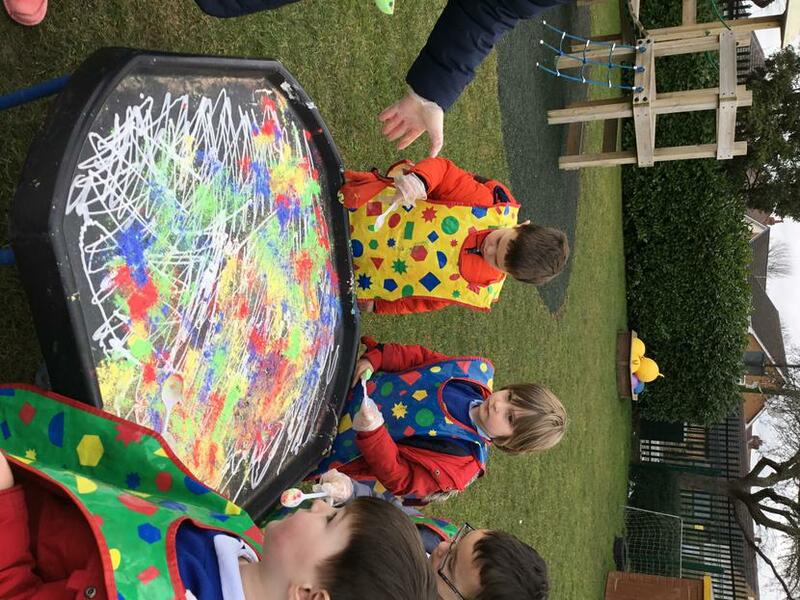 In Early Years the children learnt about the Hindu celebration Holi. 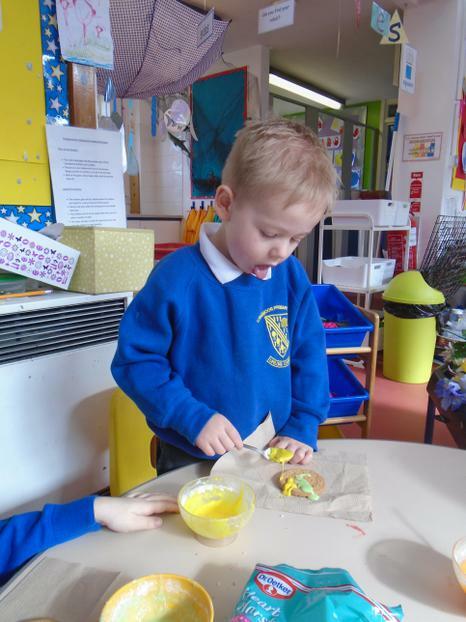 They looked at how Hindus celebrate this festival and had lots of fun experimenting with colour! 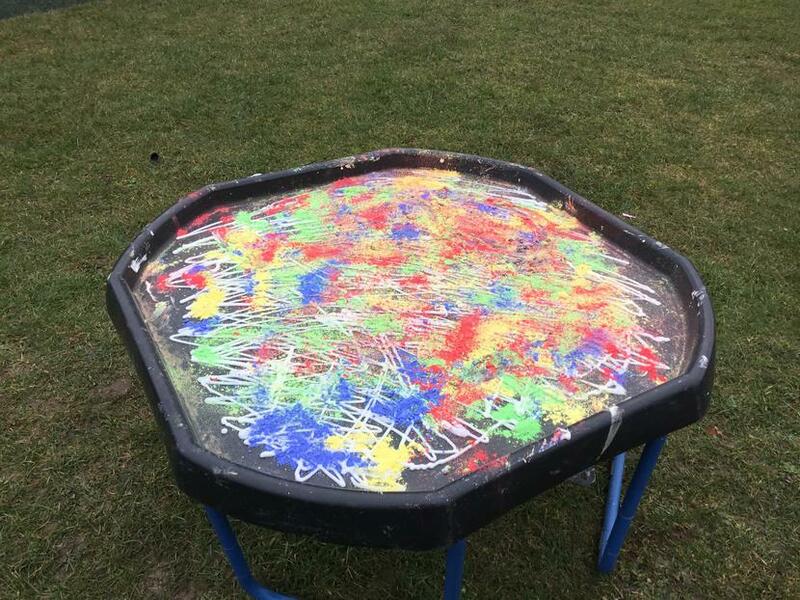 The children loved looking at photos of Hindus celebrating Holi by throwing coloured paints at each other! 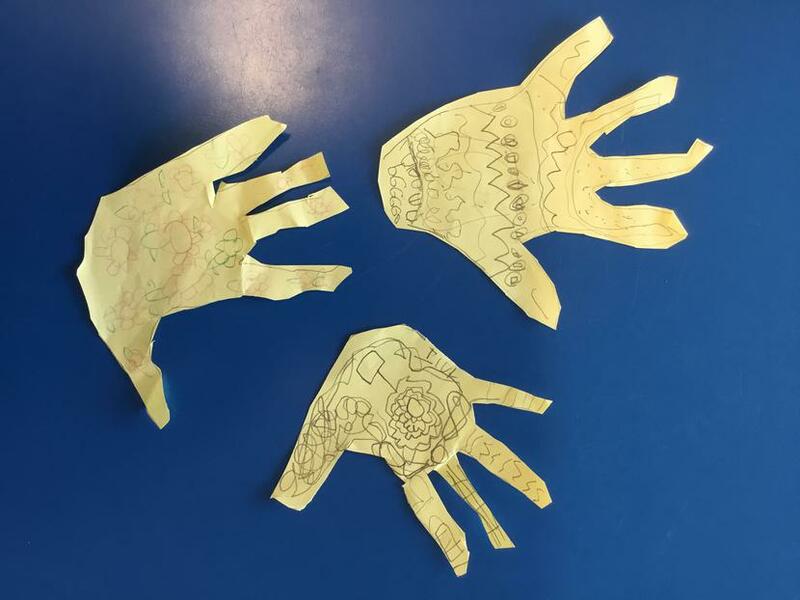 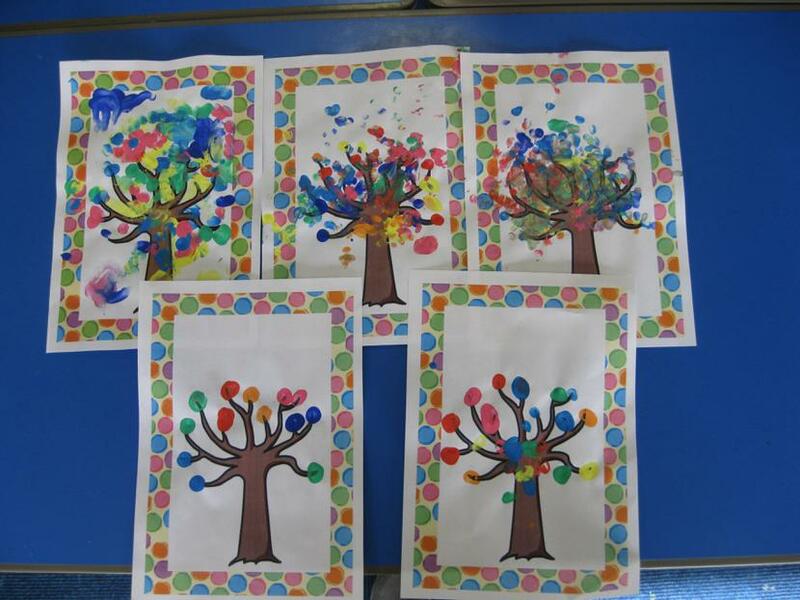 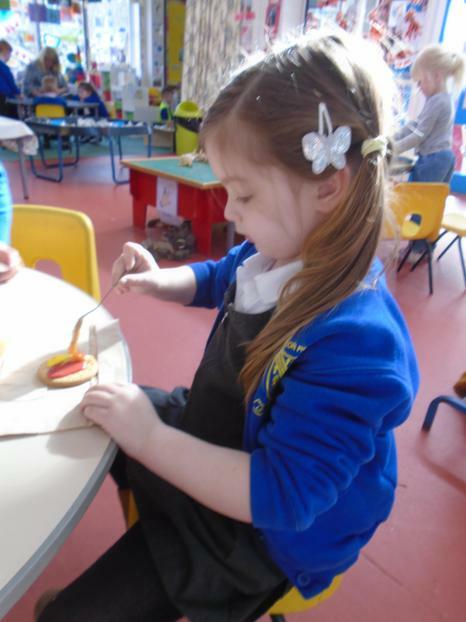 The children in KS1 created some Hena Handprints, Holi inspired spring trees and elephants. 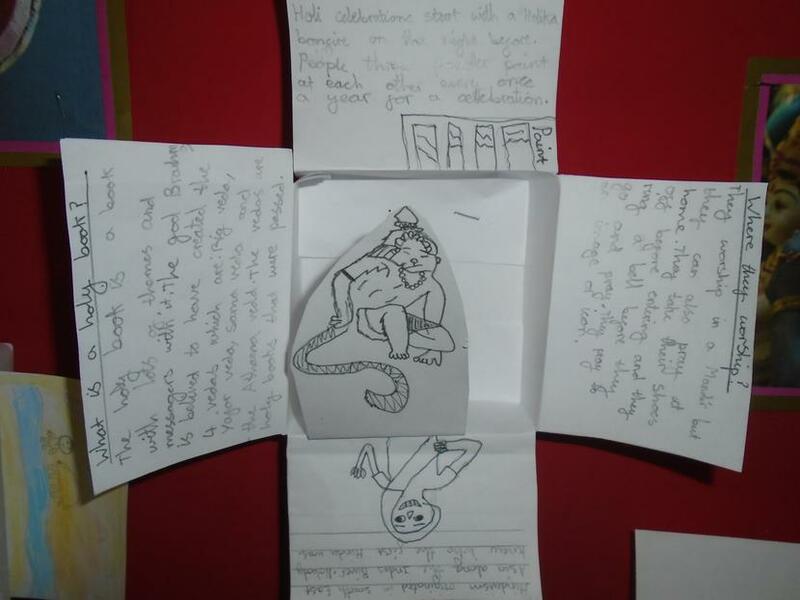 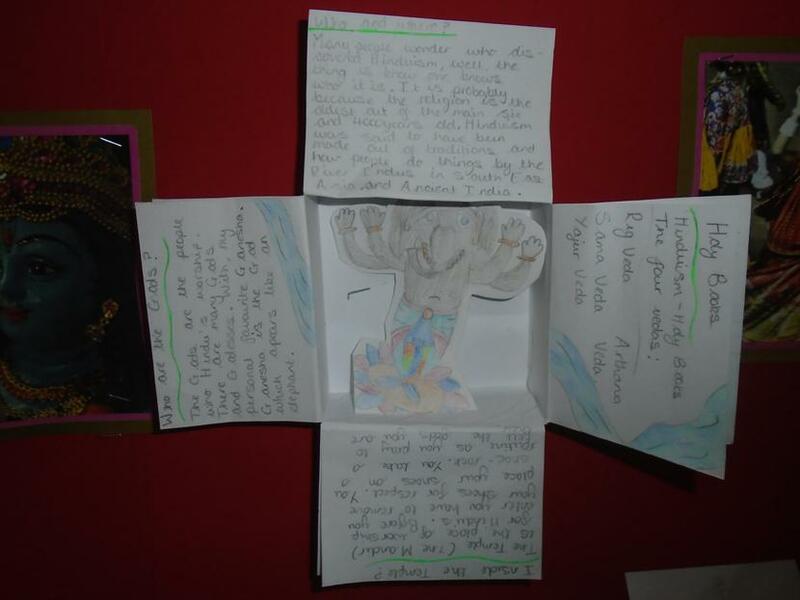 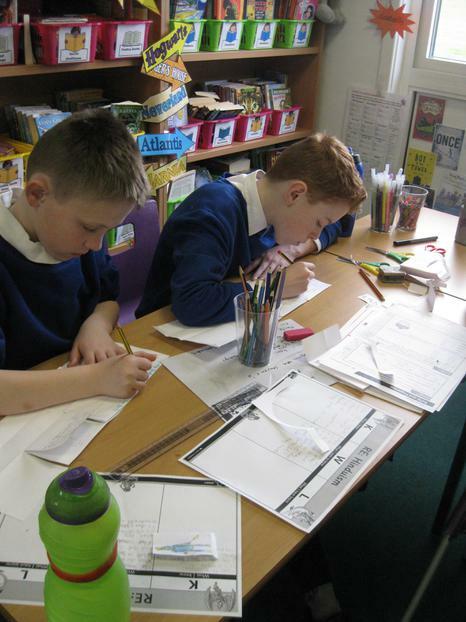 The children in KS2 created some fantastic picture story boxes to display their learning of Hinduism, they each featured a shrine in the centre. 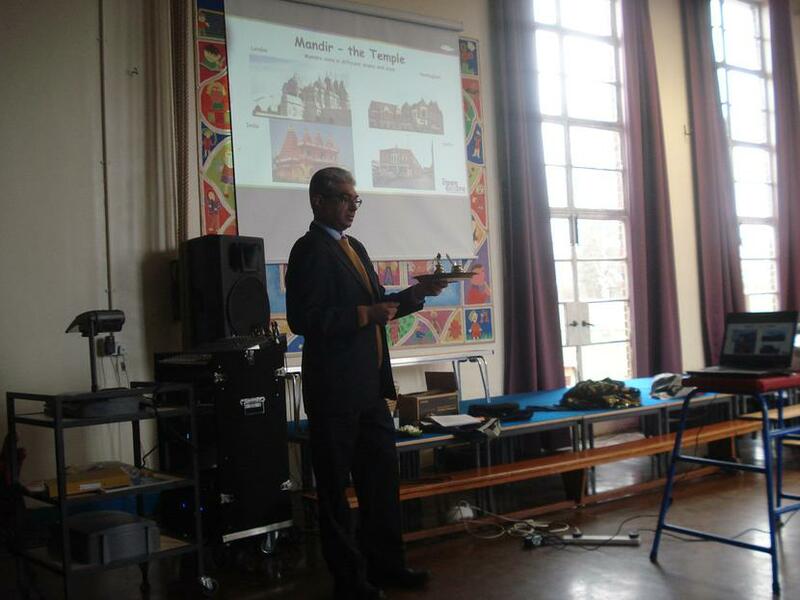 Shane from the Derby Open Centre came in to speak to the children about Hinduism. 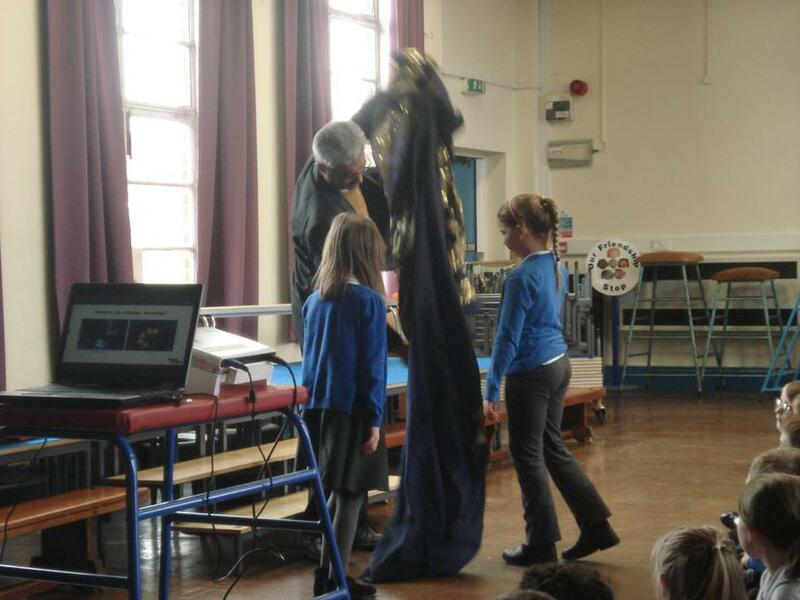 He talked about the key believes and shared some of his experiences with the children. 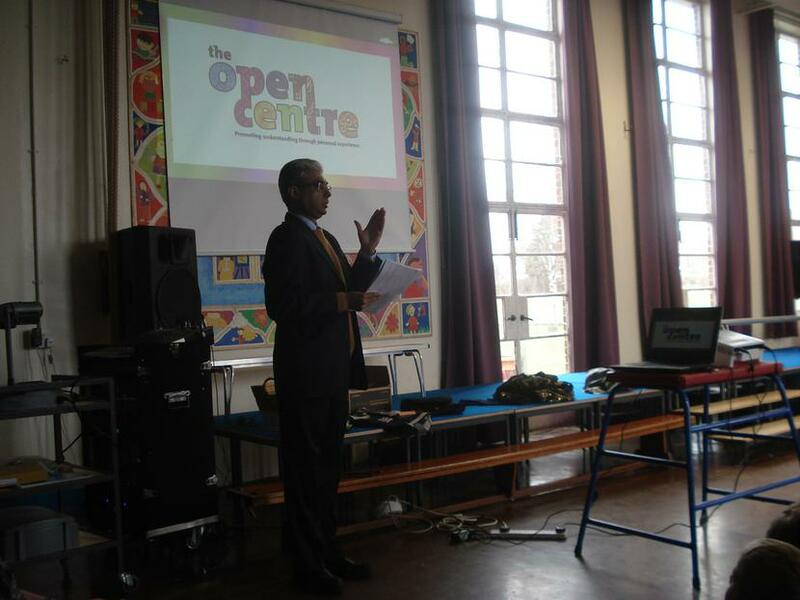 He demonstrated how he uses meditation in prayer and invited the children to join in which they enjoyed having a go at! 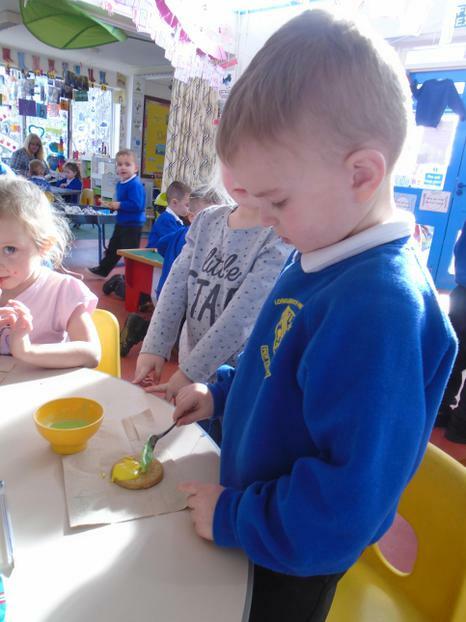 Shane taught the children how he greets his friends by saying ‘namaste’ and dressed up the children in the traditional clothing sari and pyjama. 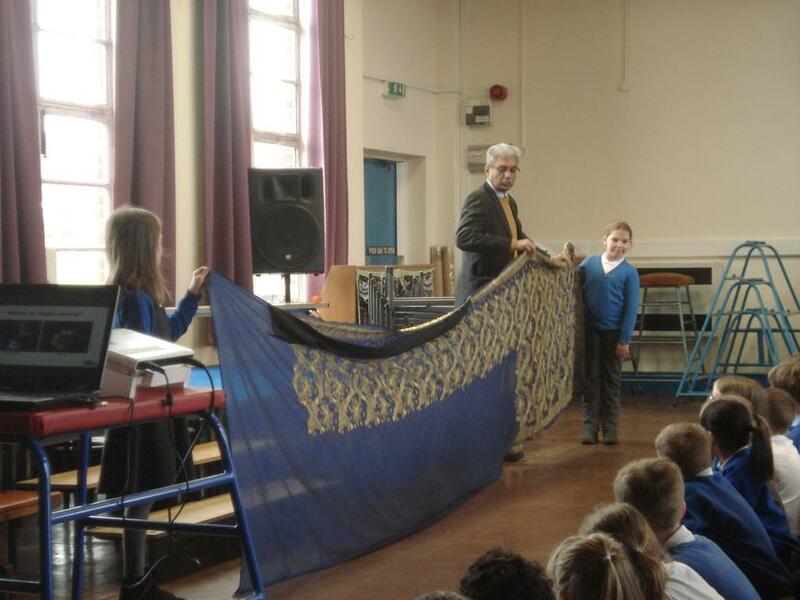 The children asked lots of questions about his religion and enjoyed finding out all about the traditions and beliefs of Hinduism.